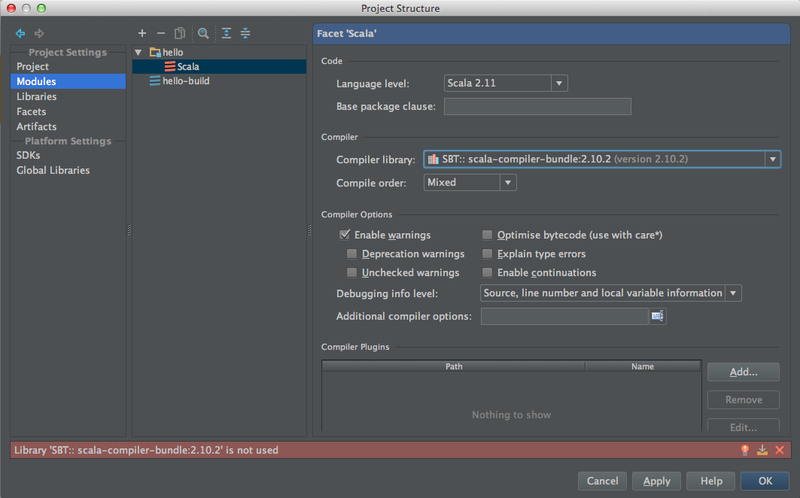 I am using IntelliJ ultimate 13.1.2 (Build #IU-135.690) on Mac OS X Mavericks 10.9.2, and I'm having troubles to setup a simple Scala project with Scala plugin, SBT and Scala test. 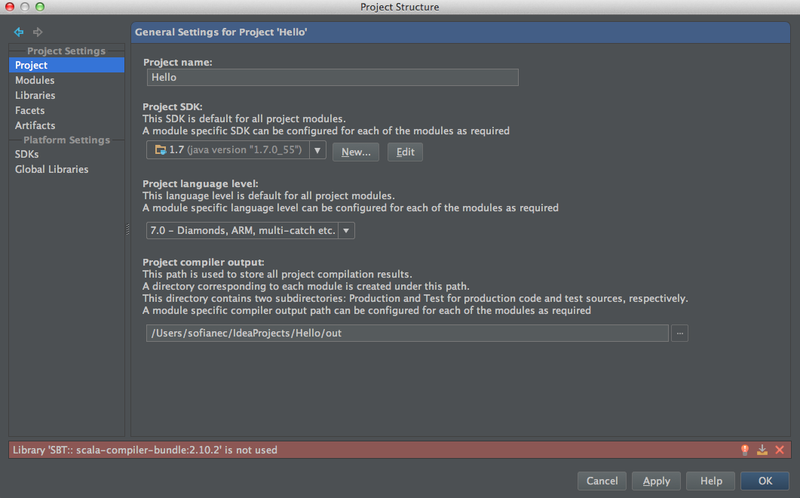 * I configured SBT to use Scala test. According to the scalatest website I had to add the following line in build.sbt: libraryDependencies += "org.scalatest" % "scalatest_2.11" % "2.1.5" % "test"
1) After refreshing the SBT file and opening the project structure I see a warning message stating: Library 'SBT:: scala-compiler-bundle:2.10.2' is not used. What does it mean? 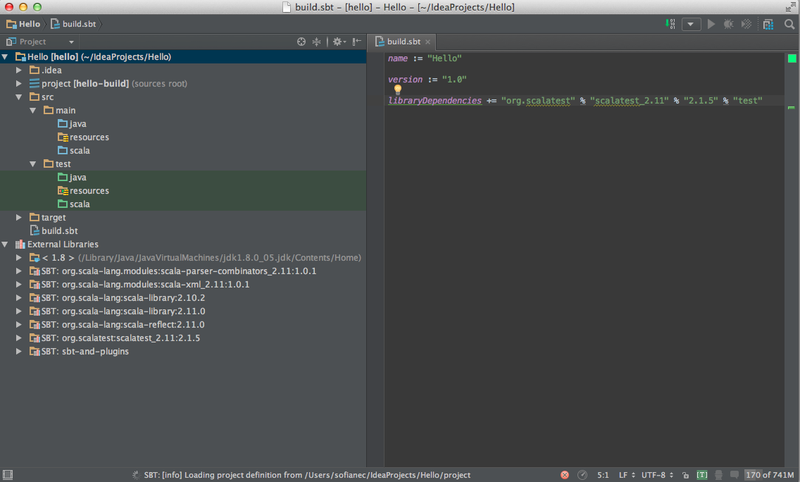 I chose to click on the fix error and add dependencies to my two modules, hello and hello-build. 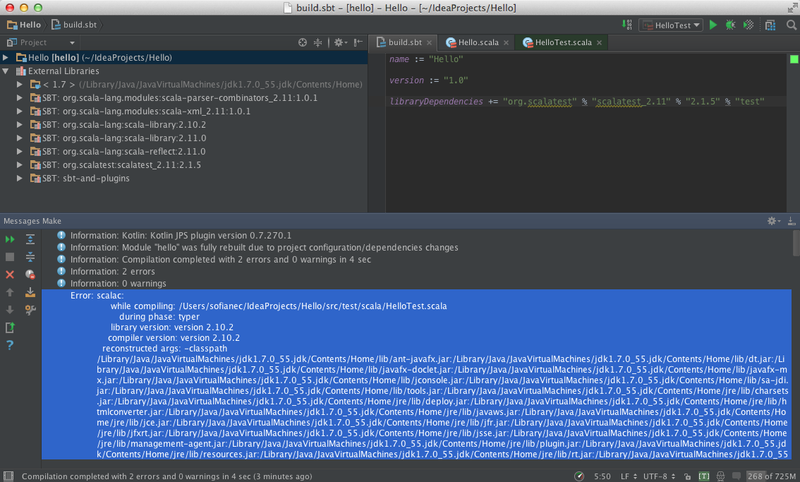 2) Either Intellij or the plugin are changing randomly my project SDK to 1.6. 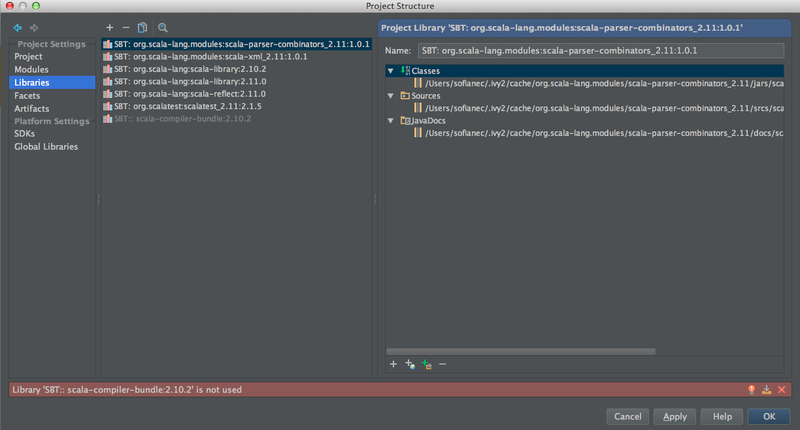 This is quite annoying because I have to open the project structure and change it manually. The workaround I came up with is to modify the project libraries to use the same compiler and library jars that come with scala 2.11 installation.